About Us: Lifemark Health Corp. with Lifemark Somerset P.C. and Lifemark Total Ability Services Inc.
We are happy to announce that as of May 1, 2017, TOTAL ABILITY has joined the Lifemark Health Group. Lifemark is one of Canada’s largest independent providers of health care services, with hundreds of locations and thousands of health professional employees across the country. Like TOTAL ABILITY, Lifemark is committed to helping clients achieve a better quality of life through a full range of rehabilitation services. We want to assure you that the TOTAL ABILITY team members you are working with will remain in place. We will continue to provide the same level of quality care and service you have come to expect and deserve. Lifemark will take on the behind-the-scenes work of the business – so that we can focus 100% of our efforts on delivering occupational therapy to you. We will continue to operate under the TOTAL ABILITY name, co-branded with Lifemark, for the time being. We are all extremely excited that with the backing of Lifemark, TOTAL ABILITY will be able to provide occupational therapy services to even more people in New Brunswick. Together we can change more lives. 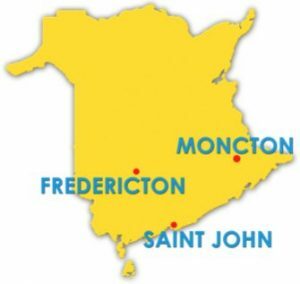 We continue to provide mobile occupational therapy services in greater Saint John, Fredericton and Moncton, New Brunswick. We also provide mobile speech language pathology in Saint John, New Brunswick as well. We are also delighted to be now able to offer occupational therapy and speech therapy at the Lifemark Somerset Clinic Location, in Saint John New Brunswick, 206-555 Somerset St. Saint John, New Brunswick and at 924 Prospect St. in Fredericton, New Brunswick. Call 506.847.0677 or toll-free in New Brunswick 1.877.784.5353 to learn how occupational therapy and speech therapy can help you. Fill out our contact us form to also reach us with any question! Or, make a referral here. “I just wanted to say that we had our regular occupational therapy session with this morning for my son and wanted to say how wonderful your occupational therapists are”. “After only a few sessions of Occupational therapy my 7 year old is getting a lot more stickers for doing a “good job” of printing neatly and taking pride in his written work at school. He also has a lot less anxiety about printing”. “I plan to increase his therapy so we can see more of our TOTAL ABILITY occupational therapist. With OT by our side I feel more positive that we are going to get there”.